As technology continues to advance in the work place, many organizations are looking to move from their current ticketing or IT service management (ITSM) software solution to an ITSM software solution that can support ITIL processes such as Request fulfillment, Configuration Management, Problem, and Change. 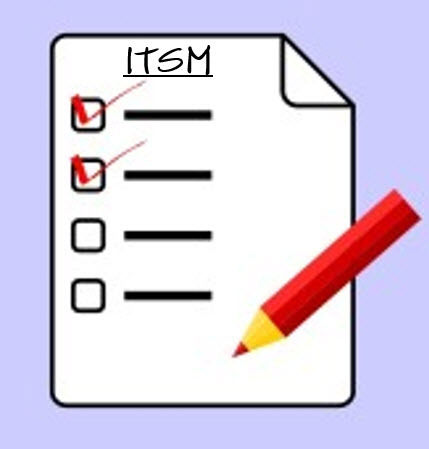 When evaluating an ITSM solution, it is important to create a list of requirements so that you can properly evaluate the ITSM software solutions available. I sat down with Matt Hooper, an ITSM Evangelist, and together we created a list of questions we think every organization should ask when evaluating an ITSM software solution. Can I create sub-tasks for requests that enable multiple people to resolve a single request? Requests come in all sizes. While many requests will be simple, like ordering a new laptop or resetting a password, some requests involve multiple people or teams. 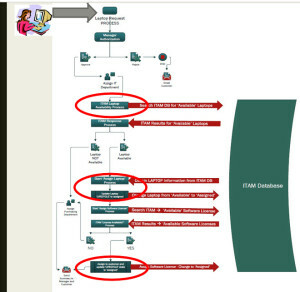 Providing traceability and communications back to the requestor requires your ITSM solution manage this as one request. 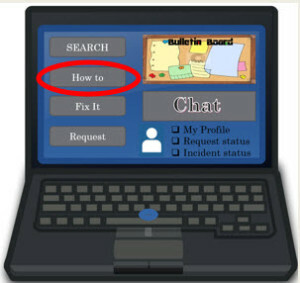 However, the activities need to be child tasks that link back to the request for status updates and closure. 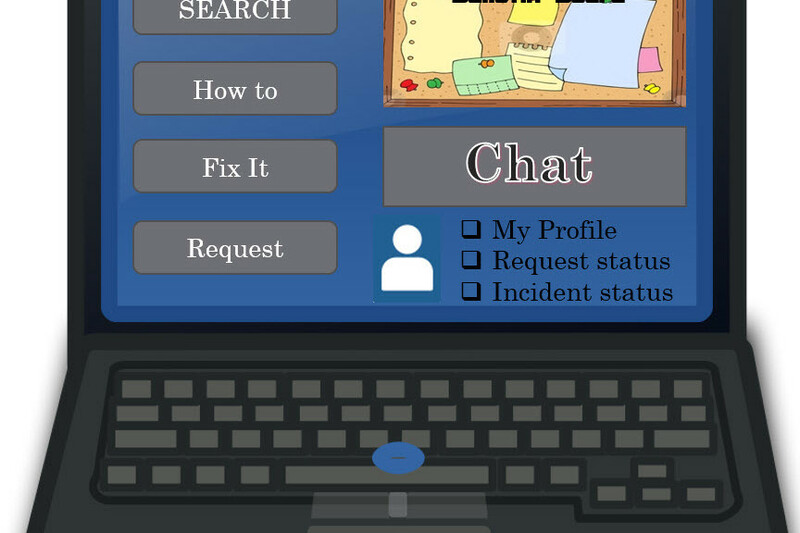 Can I log and record an incoming inquiry when I don’t yet know it’s a request or an incident? When inquiries come in, there may not be enough information to yet determine if it is a request or an incident. 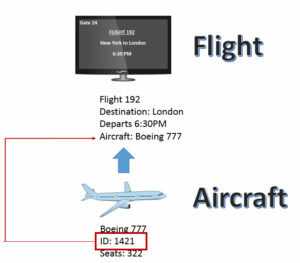 Thus a staging area, a queue where tickets can be assessed and evaluated, is required to allow the analyst time to determine the inquiry type. This will aid significantly in keeping reporting and metrics clean. 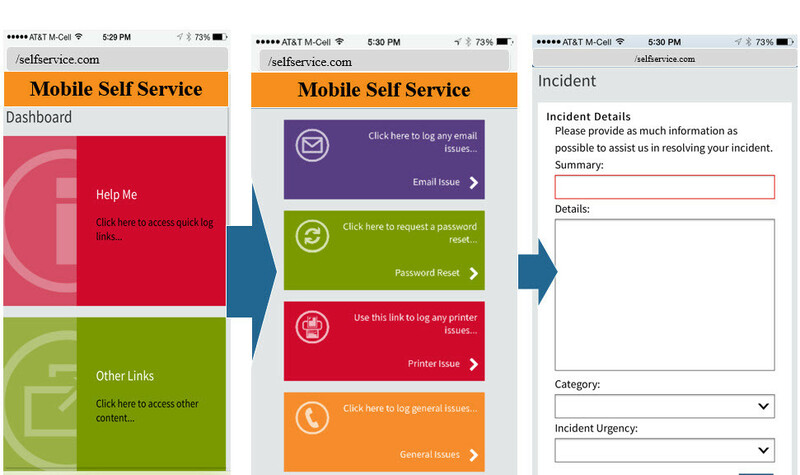 Are incidents and requests assigned automatically based on category or symptoms? Knowing who can resolve a request or incident can sometimes be as difficult to determine as how to resolve the issue itself. Ownership and responsibility can easily be managed when the ITSM solution can route assignments based on pre-defined rules. This allows the analyst to focus on asking the right questions to determine the category, and then the tool can do the rest. It improves efficiency by reducing the misdirected assignments, and increases the visibility of demand on teams. Can the risk of changes be easily detected by attaching a configuration item (CI)? As asset configurations are changed, the services they support are jeopardized by misconfiguration, conflicting changes of dependent items, or the introduction of incidents. It is then vital that changes be assessed in real-time to determine the appropriate level of communication and approvals that need to occur for a change to happen. Does it have a customizable self-service portal? A self-service portal that can display information relevant to the end-user can help you reduce calls into the analyst. For example, a person who works in the accounting department might use accounting software. Knowledge information containing tips and tricks or frequently asked questions regarding the accounting software could be published only to those who are part of the accounting department. 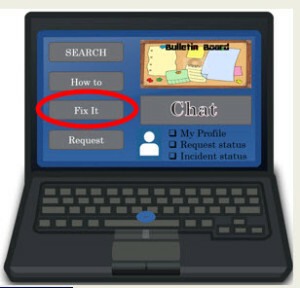 Furthermore, bulletins, such as service interruptions should only be posted to those who are impacted by the service interruption. When it comes to the self-service portal, the more it can be customized for the end-user, the better. 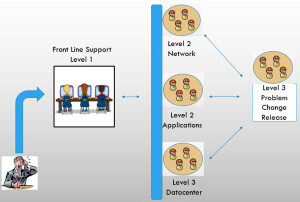 Does it support process integration with third party solutions? Automated processes are critical when providing IT support, especially when providing request fulfillment services through a self-service portal. 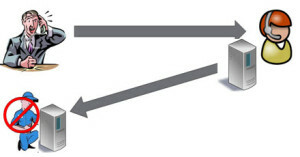 For example, if an end-user makes a request for software, your ITSM process should be able to integrate with your software distribution tools. When the software request is approved, software should be set up for installation without manual intervention from an analyst. Be advised that integration is important whether or not your ITSM solution is on premise or in the cloud. Can we make simple changes to workflow processes without paying for services? There are some very powerful ITSM software solutions available on the market today. If it is difficult to make changes to your ITSM automated processes, you could find yourself paying for additional services. Choose tools that minimize or eliminate the need for coding. There are several ITSM solutions available that allow a change to be made to a process through a “point-and-click” in place of writing or modifying a script. Does it support Business Value Dashboards? To measure how IT is doing, dashboards are critical. When analyzing your data from dashboards, you will be able to determine if IT is complying with established service level agreements (SLA’s). However, what would this information mean to non-IT managers and executives? Non-IT managers and executives are concerned about cost and risk. **Don’t tell me how many miles/kilometers my car gets to the gallon/liter, tell me how much it will cost to drive to the store. If your dashboards can translate technical terms and ITIL mumbo jumbo into a dollar value, then you will have the attention of non-IT management. 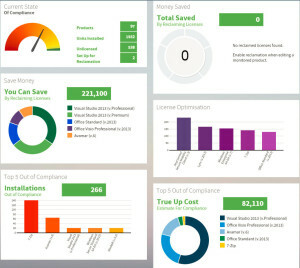 Business Value Dashboards provide a value beyond the IT department because they are relevant to non-IT management and easy to understand. ITSM software solutions are expensive and will typically have a longer lifecycle within an organization. It is important to choose tools that support your objectives and requirements. Whether evaluating your current ITSM solution or evaluating a new ITSM solution, it is important to ask the right questions. Be sure to meet with IT managers and non-IT managers to determine what questions are needed in addition to the questions above or you could find yourself filling in the gaps with additional services or software solutions, which will drive your IT costs up instead of down. I often use public transportation services. Sometimes I have a good opinion of the service provider and sometimes I do not. I develop my opinion of service offerings based on the experience I have when I use the services offerings. For example, if I travel on a train that is dirty and doesn’t smell very good, then I am likely to judge the service offerings in a poor light. As a passenger, I am expecting to arrive at my destination so I am not going to develop my opinion of the services based on whether or not I arrive. Instead, I develop my opinion on the overall experience I had while traveling to my destination. If I have a poor experience, I will probably try to find another way to get to my destination even if it takes longer and costs more money. When providing IT services to end-users, it is important to understand that end-users expect that IT services will be delivered much like I expected my train to arrive at its destination. Therefore, end-users will judge the quality of IT services based on their experience while using IT support. 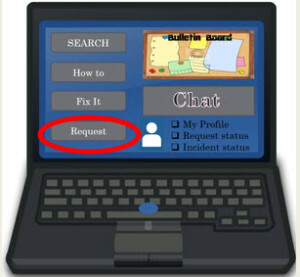 For example, imagine a process is published offering a way to request a laptop through a self-service portal. If the interface is difficult to navigate, or if the automated process fails to deliver the asset in the time it was promised, then you might find your end-users searching for other ways to fulfill their asset requests. Unhappy end-users reflects poorly on the IT department. Without the support of the end-users, your ITSM solution will not be successful. 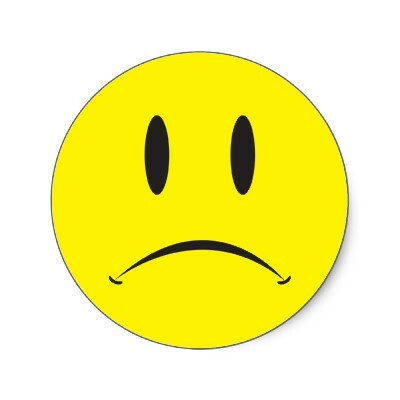 Do you know what makes end-users happy or unhappy? How does IT make end-users happy? End-users don’t want to be surprised by changes to the interface or changes to ITSM processes without prior knowledge. To ensure end-users buy in to new IT service offerings, be sure to include them in the design processes so they can provide feedback from their perspective. Proper expectations need to be set for the end-users. If a callback to the end-user is promised by 5:00 PM, then be sure to call them back. If analysts are over committing, they might have too much on their plate. When assigning tasks to your analysts, be sure to monitor their follow-up. If analysts are not following up in a timely manner, monitor their workloads. Poor follow-up should never be acceptable. Remove analysts that consistently demonstrate poor follow-up capabilities. Knowledge is extremely important when providing IT services. It can take a lot of time for an analyst to troubleshoot an issue. Avoid duplicating troubleshooting efforts by providing up-to-date knowledge for your analysts. As methods for resolving an issue are discovered, document and publish those methods. When possible, publish methods for resolving an issue to the end-users. If they can fix the issue by following directions from a knowledge article, they will not have to call the help desk. Long hold times frustrate end-users that call for IT support. It is important that the IT department understand peak call times, then develop methods to handle large call volumes during those times. Provide additional staffing during peak times if needed or build a process that facilitates a call-back from the analyst to the end-user when call volume is high so that end-users do not have to wait on the phone for a long period of time. The longer the wait time, the unhappier the end-user. 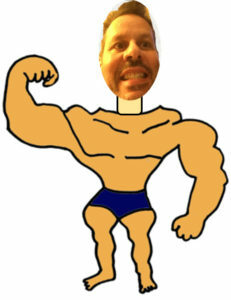 The customer is always right mentality used by sales operations should be the mentality of the IT service Dept. ITIL calls the end-user a customer which is how they should be treated by the IT analysts. 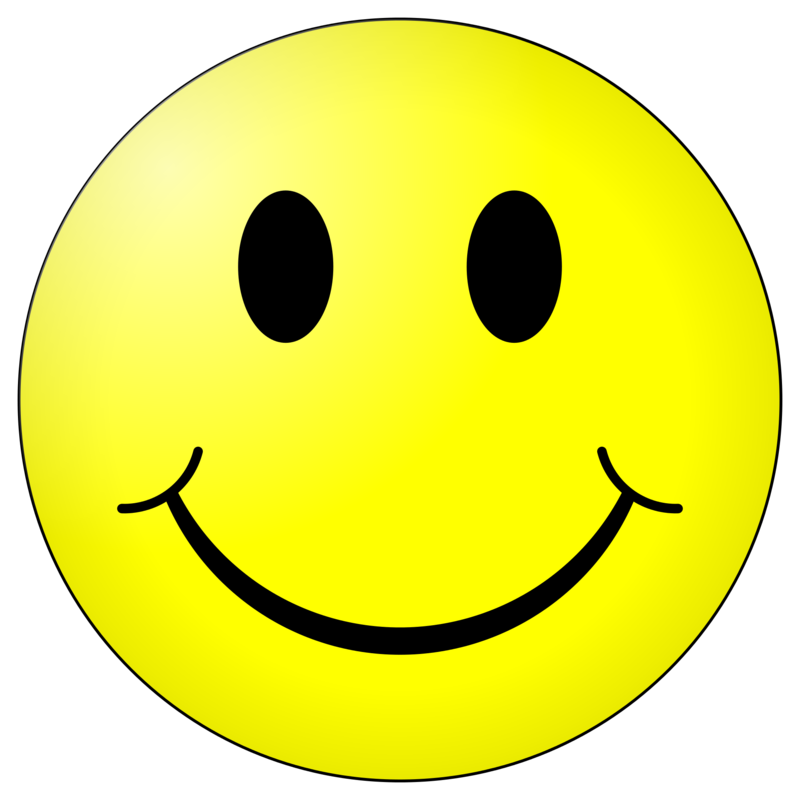 Encourage and positively reinforce good customer service provided by analysts. If end-users will be impacted by an IT project, involve them in the design and testing phase of the project. End-users are happy when they are heard. Furthermore, they will be more likely to support the IT project when it goes into production. Service Level Agreements (SLA’s) provide a way for IT to set expectations for the end-user. SLA’s also provide a way for IT to monitor how well it is providing support for the end-users. Provide multiple ways for the end-user to open an incident or make a request. Providing multiple access points for opening incidents or making requests can alleviate long wait times for telephone support; especially during peak hours. Today’s end-user knows how to find answers to their questions using a smartphone and Google search. If IT provides answers to commonly asked questions by publishing a knowledge database to the end-users, calls into the support center will decrease. Over-all wait times will decrease while end-users will feel empowered as they are able to solve issues themselves. Although IT questions and requests might seem elementary to an analyst, they are not elementary for the end-user. Analysts need to avoid talking in a condescending way to the end-user. For example, “you should know that,” or “didn’t you go to training?” are statements that should never be uttered by an IT analyst. When end-users get respect, they will probably give respect to IT and appreciate all that the IT department does for them. Build a self-service landing page – Publish services through a self-service catalog then automate request fulfillment processes where possible. Build approvals and authorizations into the automated self-service processes. Look for Ways to Modernize Your Interface – Much like music and furniture, an IT interface can quickly become outdated. Be sure to use software solutions that have a modern, easy-to-use interface. Today’s software solutions need to be easy-to-use across all platforms. A good ITSM interface will change very little when going from a PC browser to a mobile app or browser. Today’s end-users want consistency. Never believe your processes are perfect – ITSM in not a destination, it is a journey. Never stop measuring and improving ITSM processes. End-users have little patience for redundant tasks that do not make any sense. Keep in communication with end-users and analysts to find areas where a processes can be improved to make them easier, faster, and more reliable. New technology is your friend – Stay current with the ITSM community by subscribing to ITSM magazines or online forums. New technology that can help you improve IT support will help you reduce your IT costs. Recently, I looked at some new ITSM technology that uses a screenshot to search a knowledge database. If your ITSM software solution is not providing you with the latest technology available, or if it cannot be integrated with the latest technology features available, it’s probably time to look for another ITSM solution. 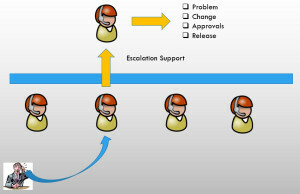 To create a positive end-user experience, build an interface that is easy to navigate, provide processes that are quick and efficient, maintain an up-to-date knowledge database, and schedule re-occurring meetings with IT services and a focus group of end-users for the purpose of re-evaluating and improving your current IT services and their processes. One rainy afternoon several years ago, I waited in a parking lot for a leasing company representative to pick up my car. I leased that car three years earlier so it was time to return it. Unfortunately, I exceeded the mileage in the agreement so I had to provide the representative with a check before he would take back my car. I exceeded the mileage by 3,000 miles and the penalty was 25 cents per mile. When software auditors come knocking on your door, they are looking to see if your organization has exceeded the number of licenses purchased. Similar to how a penalty is applied for exceeding mileage on a leased car, a penalty is applied when you exceed your license count. These penalties can be very expensive, especially for smaller organizations. To make things worse, many organizations don’t know if they have exceeded their license count and if so, by how many. To avoid damaging relationships with customers, software vendors commonly use partners to perform their software audits. Why would Software Vendor Partners Want to Perform Software Audits? Partners who perform software audits usually receive a percentage of the proceeds from penalties and true-up costs that are billed to an organization for any unlicensed software discovered during the audit. To avoid being targeted by software auditors, you need to understand the motivation of most software auditors—money. How Can I Avoid a Software Audit? 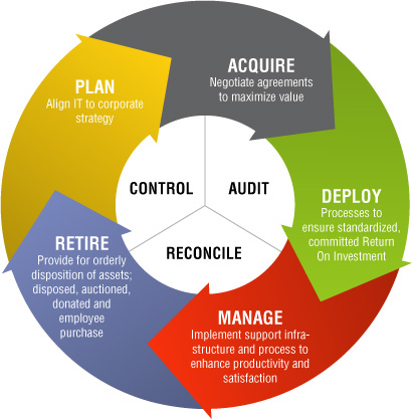 Software audits are expensive for software vendors and their partners to perform. I recommend three things for any organization looking to avoid a software audit. With IT Asset Management (ITAM) similar to document management software programs tools in place, you will properly discover software assets installed on your network. You will also have normalization capabilities, which will prevent inaccurate software license reporting that is a result of inaccurate data in your database. 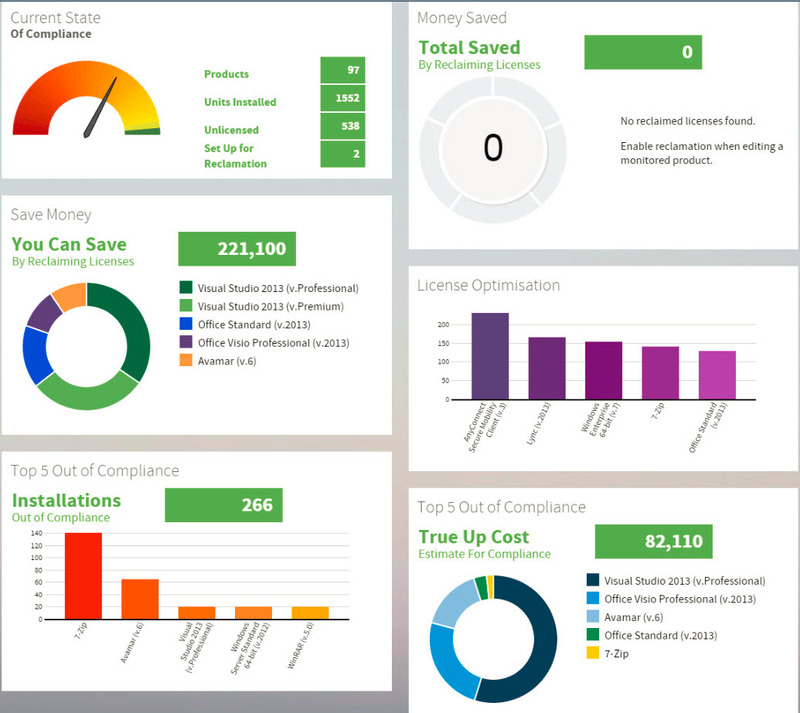 ITAM tools that see software utilization can help recover unutilized software licenses. This can be a life-saving feature, or at a minimum, a job saving feature if you exceed your license count and are facing an upcoming software audit. Many organizations have been able to save or re-appropriate funds when renewing software licenses after removing software that is never used by employees. When organizations manage their software using ITAM processes and software, they discourage software auditors hoping to make money from penalties and true-up costs that result from discovering unlicensed software. Building accurate software reports is critical if you wish to avoid a full software audit. Often times, your software vendor or their third-party contractor will request a report that shows how many licenses you own versus how many you are using. If you are able to provide reports that are accurate and easy to understand, you can avoid a visit from the software auditing team. Build reports similar to the software auditor’s reports. If your software license report looks like the software auditor’s report, you could lessen the chances that the software auditor will follow up by performing a full onsite software audit. Software audit report templates are available online. Avoid contacting your software vendor or their partners to find sample/template reports. This might raise a red flag from the software vendor’s perspective which could result in a date with the software auditor. 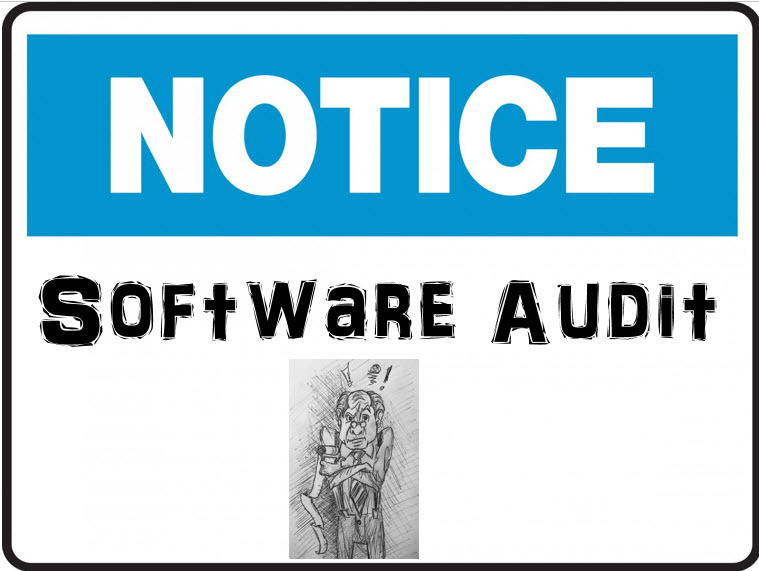 Be advised that some software vendor partners not only sell licenses, they also do software audits. If the software auditor decides to run their own software tools to build reports, it will be important to have your own software audit reports to address any discrepancies. The worst thing any organization can do is sit back and accept the findings of a software auditor at face value. Mistakes that favor the software auditor will result in unnecessary costs. It is important to understand your software license agreements, especially if you have to answer questions raised by a software auditor. Much like sharks will target an area where there is blood in the water, software auditors target organizations with a lack of knowledge about their contracts. When software auditors sense compliance issues they might see dollar signs, so if you demonstrate poor understanding about how your software licensing is structured, prepare to spend a day with the auditor at your location. No organization is immune from a software audit, however, organizations that demonstrate a good understanding about what they have through accurate software license reports will not be targeted as often as those who demonstrate poor ITAM practices. 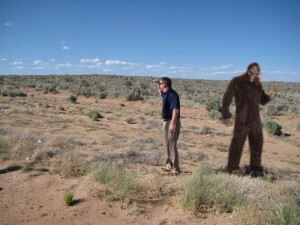 Marcel Shaw’s Observations – The Bigfoot hunters could probably benefit from scientific equipment while IT administrators will benefit using IT asset management discovery software with B2B and lifecycle tracking capability. If you don’t track your IT assets from the time they are purchased, including a method to document when they arrive, they could go missing. -Poor discovery techniques lead to confusing conclusions. Patricia Adams’ Observations – Having a formalized process that centrally receives all IT assets would assist with tracking. By linking the asset request and purchase order to the shipping info, when the asset is received it can be matched back to the request. When it is stored on the stockroom shelves, using a barcode on the exterior box will automate the manual processes so assets are not easily misplaced after they are entered into the ITAM tool. 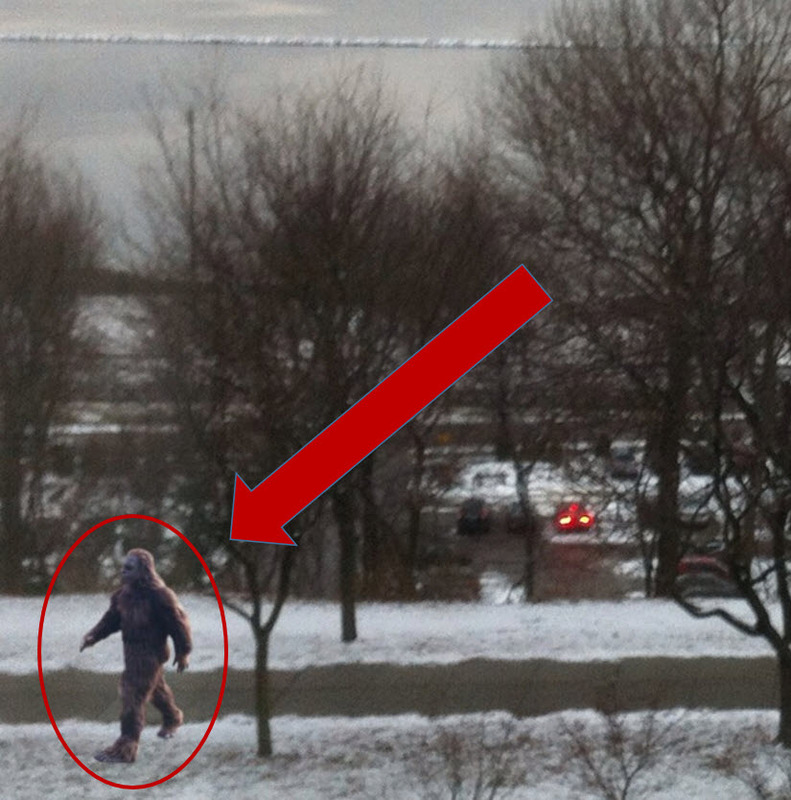 The Bigfoot hunters, or Bigfoot scientists as they like to call themselves, decided to document the Bigfoot with a camera. One of the men takes an apple and climbs eight feet into a tree. He takes the apple and pierces it into one of the branches. He positions his camera to capture anything that might come for the apple. The three men leave the area for several hours and return to see that the apple has been taken from the branch. The camera’s battery did not last for more than 30 minutes, which meant they did not capture any video of the apple eater. One of the men looked at the others and said, “Don’t worry about the video, that apple is eight feet up in the tree.” They instantly became excited, looked at each other, and simultaneously said, “Squatch!” Meanwhile, a black crow sits atop a tree not far away enjoying the rest of his fresh red apple. The IT administrator stopped by the data center in search of his server. While he was there, one of his employees approached him and said, “You know those two virtual servers I told you about a couple of months ago?” “The servers that we don’t know anything about?” said the administrator. “Yes,” replied the employee. “Nobody knows what they are used for and I am afraid to remove them in case they are part of somebody’s project. If we keep them, we will have to pay for the licenses in the upcoming renewal. What do you you me to do?” asked the employee. “Turn them off and wait for the phone to ring,” replied the administrator. 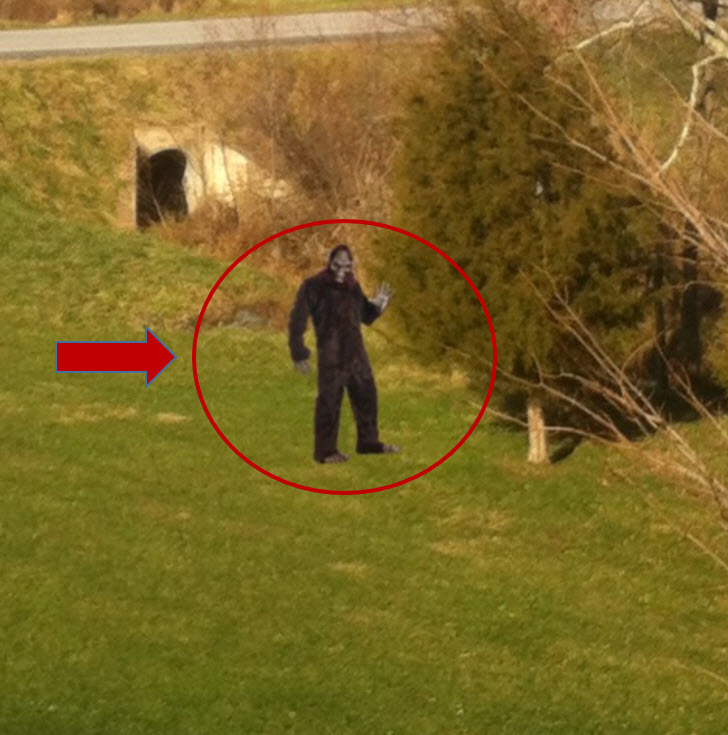 Marcel Shaw’s Observations – Next time, the Bigfoot hunters should probably focus on making sure that the camera is working before making any conclusions. The servers in the data center are not properly tracked using current asset management processes. Virtual technology has drastically reduced the effort it takes to spin-up a server for projects or testing purposes; however, many organizations have been surprised with unexpected costs as the result of a software audit. Those servers need a license, so organizations need to put discovery procedures in place to ensure virtual servers are tracked when they are created. Be sure to track who it was that spun-up the server and for what purpose. 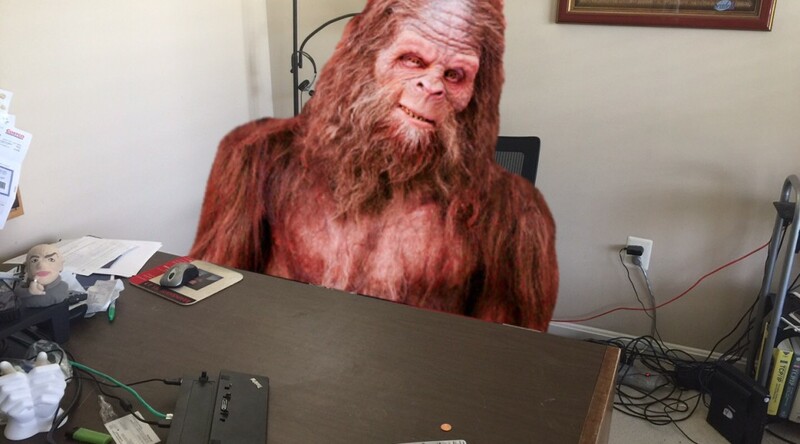 The good news, the IT administrator did not make any assumptions as did the Bigfoot hunters. Shutting down the servers to see if someone would notice was probably their best option. If he had concluded that the servers were no longer in use, he might have destroyed important data or set someone’s project back several months. -Assuming is not considered discovery. Patricia Adams’ Observations – Virtual server sprawl is an expensive problem in many data centers. Any VM that has been staged requires a supporting software license. If it is online and hasn’t been used within a defined time period, it should be removed. You don’t want to leave costly software licenses sitting around unused for extended periods of time. -Inaccurate conclusions lead to inaccurate decisions. While returning to their truck, the Bigfoot hunters (scientists) discover a dead deer not too far from the road. They analyze the deer. One of the men points to the bones and says, “You see how clean that break is right there? That is the result of a Squatch.” He explained to the others that when the Squatch eats, it breaks the bones much like what they were observing. “They just snap the bones,” he said. Meanwhile, eight miles down the road, a young family traveling home from vacation sits in a repair shop waiting for their car to be repaired after hitting a deer several miles up the road. The IT administrator stopped by to see the asset manager. “Have you seen that server I ordered?” he asked. The asset manager looked at his spreadsheets. 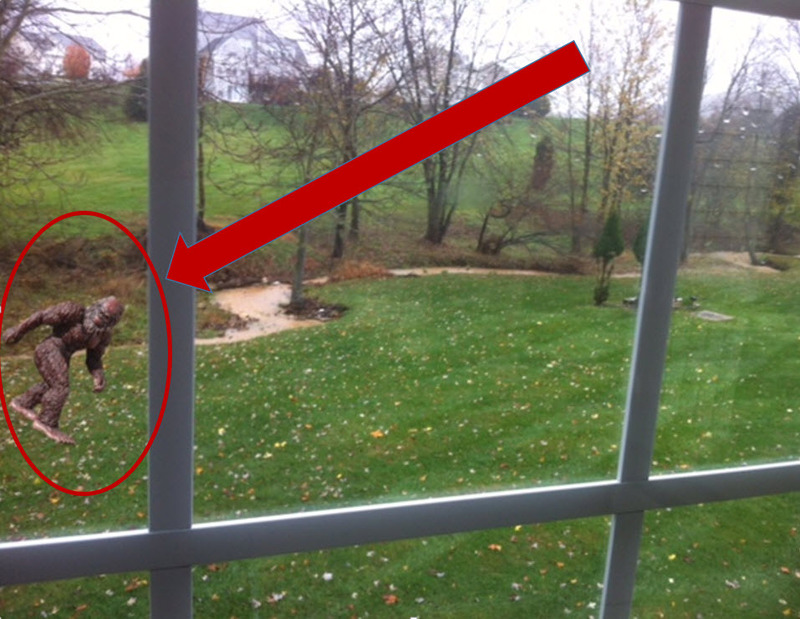 “I see here when it was ordered and I have an email from the warehouse that they received it. I told them to take it to your office,” said the asset manager. 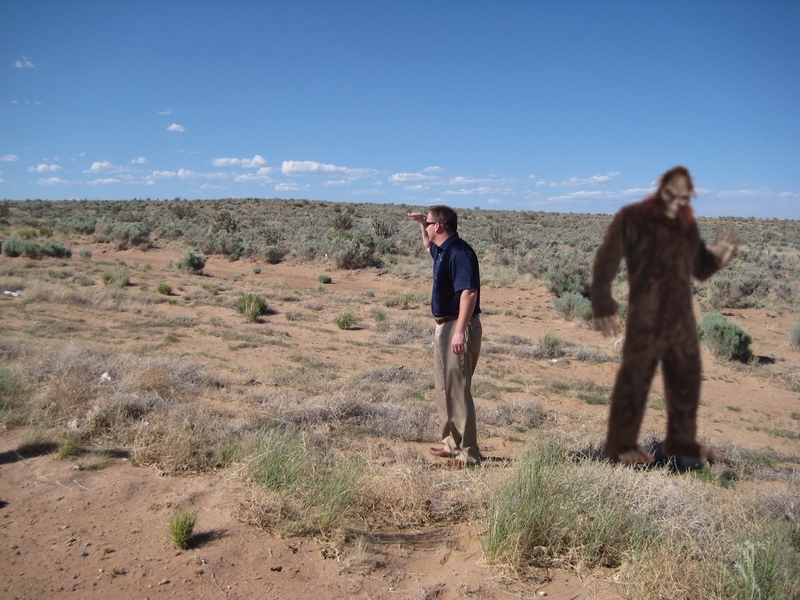 Marcel Shaw’s Observations – Apparently there is little to no education required to be a Bigfoot scientist; however, asset managers should be educated on ITAM best practices. 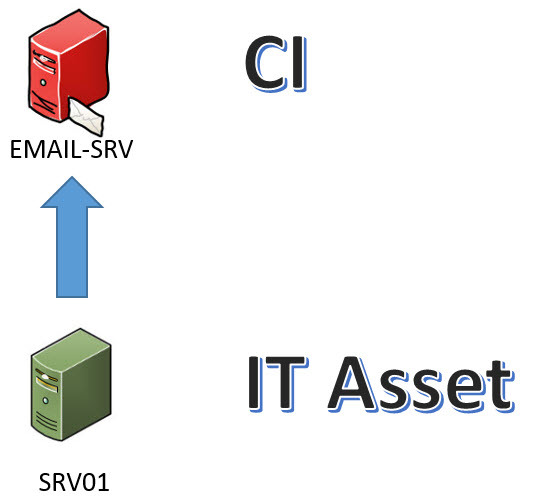 Using spreadsheets and email demonstrates a poor understanding about how IT asset management should be done when tracking IT assets. Patricia Adams’ Observations – Putting in place a process to track hardware and software throughout its life cycle is not complex, though it might be difficult to standardize the process which might vary based on geographies, locations, headcount, IT staff, or many other factors. If an asset manager needs training on how to create applicable policies, processes, and metrics to implement an ITAM program successfully, IAITAM offers a hardware asset management training course. When the IT administrator returned to his desk, he looked around his office to see if there was a possibility someone had put the server in his office. He got down on his hands and knees and looked under his desk and sure enough, there it was along with a few other boxes. Meanwhile, the Bigfoot hunters went on to have a weekly TV show where they could demonstrate their Bigfoot expertise. 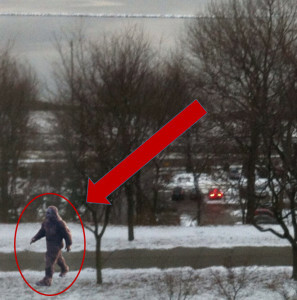 Although Bigfoot never appeared in any of their episodes, they convinced millions of people to watch their show that was really about nothing at all. Whether or not you are tracking animals or IT assets, poor discovery techniques will lead to inaccurate results. In my first IT job, I worked as a Help Desk Analyst. I supported a software package that tracked individual documents when DOS was predominantly used as the operating system on most IBM-compatible computers. 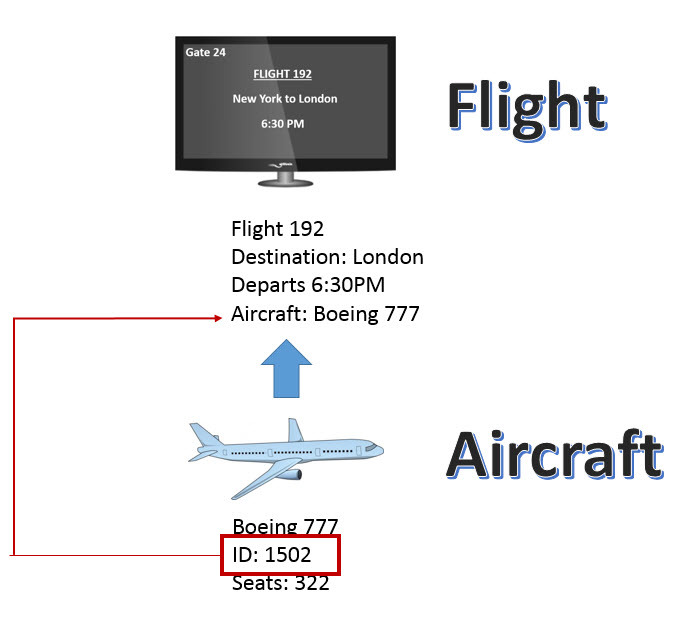 The software we used to support customers would create incidents, which meant it would create a profile with a unique incident number, a category, the analyst, the customer, and various other pieces of information we considered important. The way we provided IT support was what many called a ‘Help Desk’ or ‘ticketing’ solution. We often hear the term Help Desk or Service Desk when talking about IT Service Management (ITSM) solutions. Help Desk solutions usually refer to incident management, whereas Service Desk solutions extend beyond incident by adopting additional ITIL disciplines. 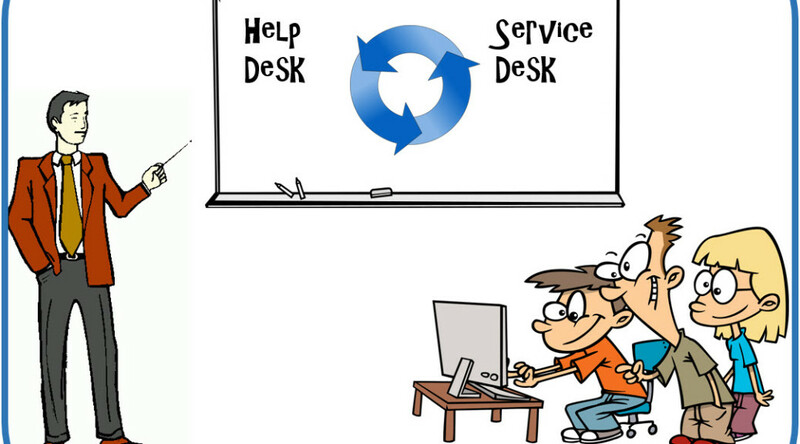 Let’s discuss the difference between a Help Desk and a Service Desk in more detail. Help Desk solutions, like Salesforce helpdesk, which do incident management without formalized processes for other ITIL disciplines, tend to focus on getting the customer back up and running as soon as possible. 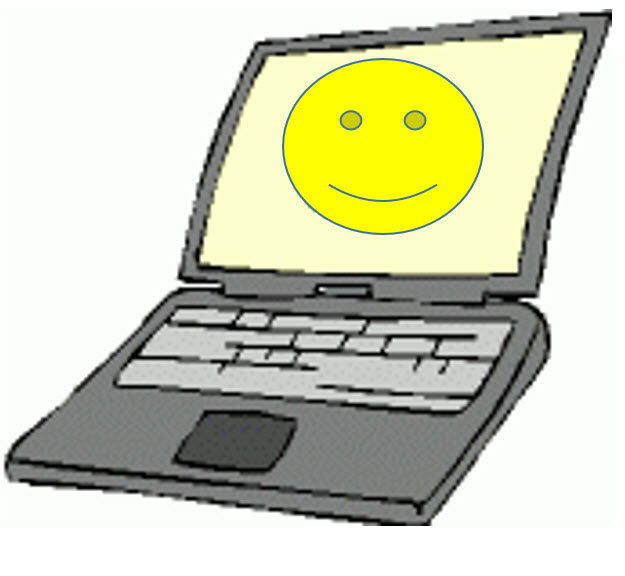 Help Desk solutions provide a reactive method for IT support. 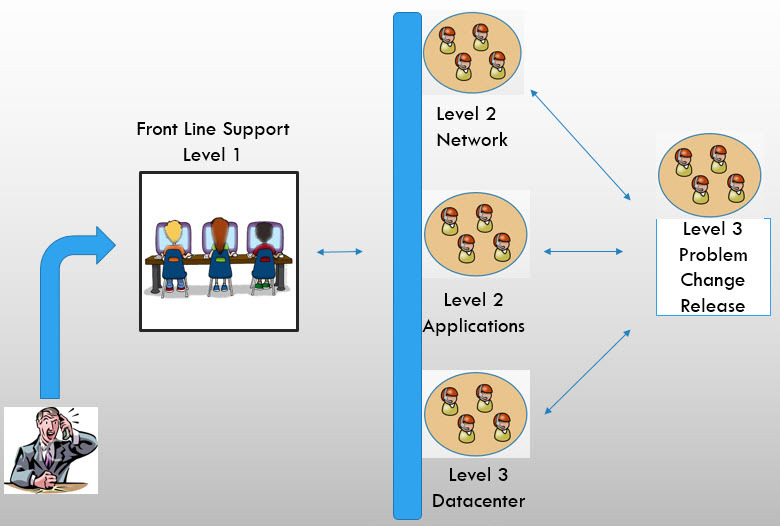 Ownership of an incident from start to finish is typically the responsibility of the front–line-support analyst. 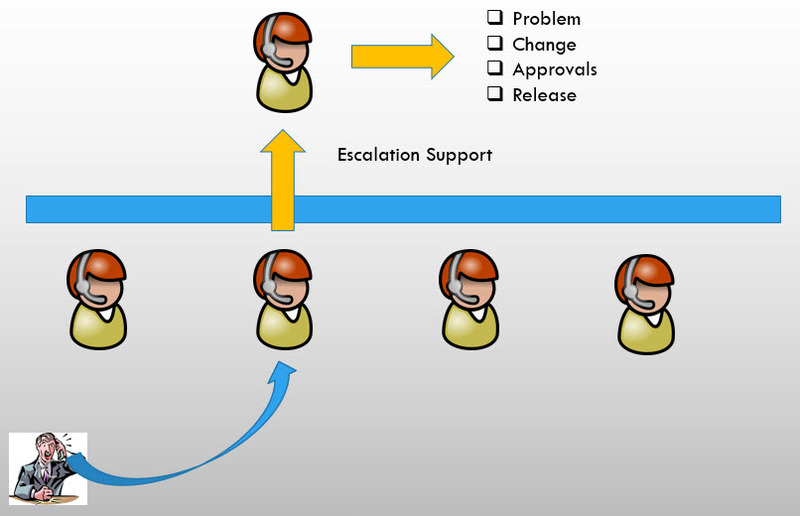 Depending on what is considered to be most urgent, escalation analysts often perform all the tasks of a problem manager, change manager, and release manager. Service Desk solutions provide a way to accomplish problem, change, configuration, knowledge, and release management, in addition to incident management. Today, most Service Desk solutions are able to be designed according to ITIL V3 best practices. When organizations move from simple ticketing systems (i.e. Help Desk) to an IT Service Desk solution, they usually require a change in software tools so they can meet their objectives. Service Desk solutions focus on preventing problems by measuring performance, sharing knowledge, managing configurations, and formalizing problem, change, and release management processes. With a Service Desk, IT service management organizations will separate incident and request processes, creating an environment where IT can provide a value to the organization through request fulfillment and catalog services. Service Desk software tools can also help improve efficiency by providing self-service portal capabilities. Services offered include requests such as software, hardware, and network access to corporate resources. With a Service Desk solution, IT service management organizations structure their employees into groups and roles such as change managers, problem managers, and release managers according to ITIL best practices. Furthermore, analysts are aligned with the appropriate IT experts when doing problem and change management. Service Desk solutions share information with analysts, and their customers, through automation and a managed knowledge database. According to a Gartner: IT Service Desk (ITSD) products include knowledge management (knowledge search capability) and workflow engines (managing automated escalation and notification). The most-sophisticated products also may link to dominant brands of corporate portals, external workflow engines, procurement modules and HR systems, or include these as proprietary features. These products integrate with operations management systems for links to event alerts, additional inventory repositories, configuration information and remote control. Service Desk software solutions can be integrated with internal or external corporate resources. When choosing a Service Desk tool, be sure to choose a tool that can be integrated with internal and external solutions such as HR databases or IT procurement processes. Through integration and automation, a Service Desk solution will increase efficiency and add value to the organization by providing automated request fulfillment services. Organizations not providing Service Desk capabilities should examine their ITSM software and their IT service management organizational structure so that appropriate changes can be made when moving from a Help Desk to a Service Desk. 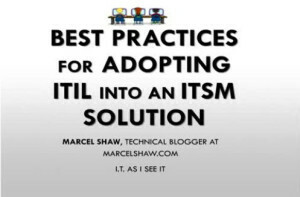 On February 16, 2016, I gave a presentation for BrightTalk discussing best practices for adopting ITIL into your ITSM solution. Adopting ITIL best practices, along with choosing the right software tools, will transform your IT service management organization from a Help Desk solution to a Service Desk solution. Several times a year, I take Constitution Avenue in Washington, D.C. on my way to visit government agencies. It is a beautiful city with many beautiful buildings and museums. Prior to my first visit, I imagined government buildings in Washington, D.C. were bland and boring, much like my old high school. To my surprise, I found each government building mesmerizing with beautiful architecture that is designed by some of the greatest architects in the world. I also experienced the enormity of the U.S. federal government as I visited various agencies. I learned that the U.S. federal government is the largest IT consumer in the world, employing over 4.3 million people. 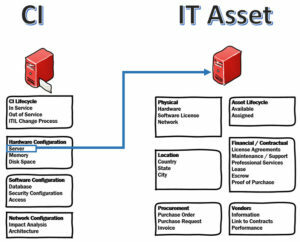 However, unlike commercial enterprises, government agencies have a unique challenge with regard to how IT assets are purchased and managed. Government agencies around the world typically have acquisition requirements that must be followed when making an IT purchase. In the United States, it is called the Federal Acquisition Regulation (FAR) which has an underlying objective of conducting business with integrity, fairness, and openness. These requirements help government agencies avoid corruption that can possibly occur when commercial companies lobby politicians. Government agencies usually have a budget for IT expenditures; however, unlike commercial companies, if government agencies do not spend the entire budget during the government’s fiscal year (Oct. 1 – Sept. 30), they are at risk of their budget being reduced. For this reason, government agencies are at risk of purchasing IT assets that have redundant features, or assets that might not be necessary because they have an objective to spend their budget. This is unlike commercial enterprises who typically scrutinize every purchase with the objective of spending less. For a government agency, IT Asset Management (ITAM) practices and processes can help control and manage IT asset costs. For agencies looking to meet budget, instead of saving money, ITAM is a good way to re-allocate funds to other projects that can help the agency be more productive and efficient. Many years ago, I hosted a party and provided food and drinks for everyone attending. I was expecting quite a few people; however, I failed to ask the invitees to confirm whether or not they would attend. As a result, I was not sure how much food to purchase. To be safe, I bought a ton of food and drinks so that I would not run out of anything. I had leftovers for two weeks and still had to throw a lot of food in the garbage. 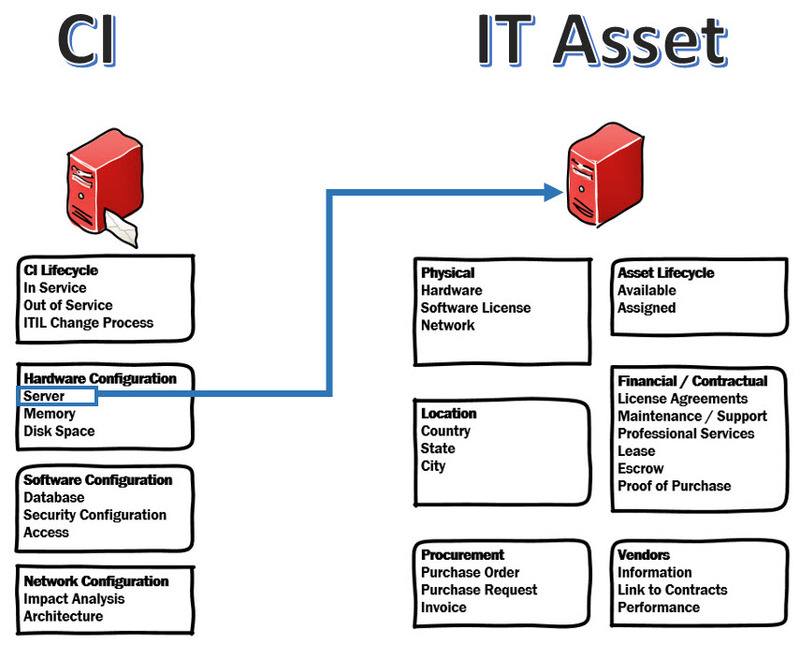 ITAM lets you see what IT assets you have which allows you to make accurate decisions about what assets are needed. It’s simple, if you are not using ITAM, it is like trying to provide food for a party of friends without knowing how many will attend. I have found that government organizations that lose track of IT assets usually purchase too many software licenses and they tend to purchase technologies with features that overlap each other. In a report posted in 2015 by the International Association of Information Technology Asset Managers, Inc. (IAITAM) titled “Understanding the Federal Government’s ‘IT Insecurity’ Crisis,” they noted that in an audit of eight locations maintained by the U.S. Department of Energy (DOE), the Inspector General (IG) found that in 2012 DOE spent nearly $2 million more than necessary on IT equipment acquisitions. Another audit in September 2014 by IG found that over a three-year period, DOE paid approximately $600,000 more than necessary on software licenses. When purchasing IT assets for a large government organization, it is important to understand the requirements so that products purchased can be mapped to the specified requirements. Unless an agency is using ITAM, they will quickly lose track of recent IT acquisitions along with the requirements that had been used to justify the purchase. A properly implemented and administered ITAM system can enhance visibility by helping you know where assets are and how they are configured, and it will improve asset management by reporting on asset utilization which will save money by removing underutilized IT assets. 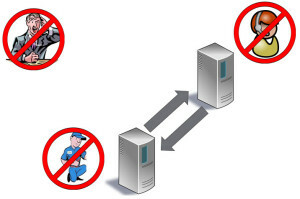 It is hard to imagine a good IT security system without proper ITAM practices. For example, think of how a physical security system is installed in order to protect a building. Before it can be installed, a security specialist evaluates the building by taking an inventory of all doors and windows, along with any other security risks. It would not be realistic to install a security system on most windows and doors. Security would need to be installed on ALL windows and doors. It is no different when trying to secure IT assets. An inventory needs to be kept of all hardware and software assets before any security measures can be effective. If you don’t know what hardware assets you have, then you won’t know if something is lost or stolen. If you don’t know what software assets you have, then you can’t be sure that all software is patched and up-to-date. IT asset management can help identify risks in your IT environment and cutcosts by up to 50 percent. So why don’t more government organizations invest in asset management? For many, the reason could be they don’t know where to start and they don’t know how to sell the value of asset management to the rest of their organization. 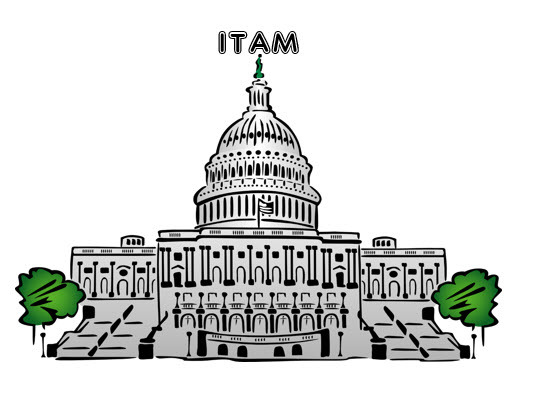 Government agencies need to understand the importance of ITAM practices. They need to understand that it is not only required to keep costs down, it is also needed to ensure that every device is accounted for and secure. I’ve had to travel a lot throughout my career in technology. Years ago, I remember having to stand in line at the airport to get my boarding pass. 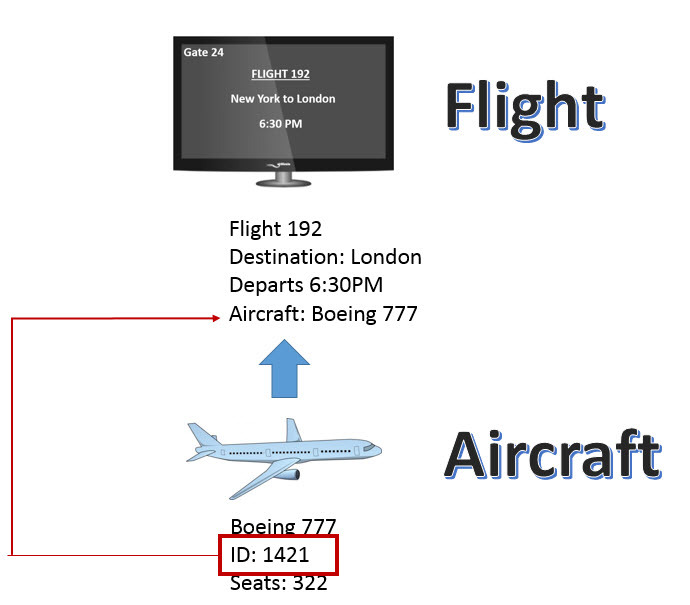 Then, when the internet was adopted by the airlines, they provided the ability to check-in online and print your boarding pass, which eliminated the process of waiting in line. Now, I simply check into my flight using a smart device, and then I present an electronic boarding pass at the gate. For IT service management organizations, I believe the most important project should be to either build or improve the self-service portal. For an ITSM self-service project, asset management (ITAM), along with process automation tools, will provide a solid foundation. 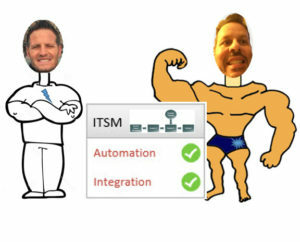 Remember, it is important that the tools selected are able to integrate with the ITSM solution. If choosing a cloud solution, be sure to understand integration capabilities or integration limitations. 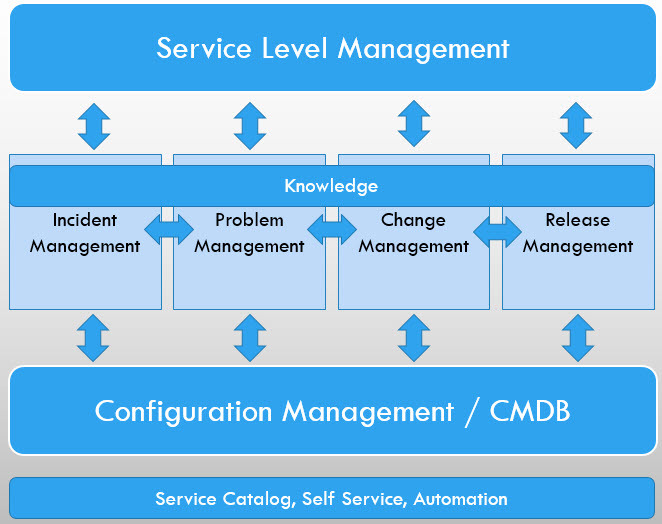 What is ITSM Self Service? When a user has an issue, a good self-service portal provides access to a knowledge base listing common issues or frequently asked questions, reducing the number of calls to an analyst. If an issue needs to be analyzed, the user should be able to open the incident using a simple form designed to route the incident to the appropriate support group. Automated processes that can reset a password or update their device with the latest approved patches should be made available to the user. Personally, I have found that one of the most valuable features provided in a self-service portal is the ability of online chat with the analyst. A large part of your self-service project will be the service catalog. It will be important to determine what services will be offered through the self-service portal. Once the services are determined, they will be added to the service catalog. Services should be designed so that they are only visible to the appropriate users. For example, if an inside sales person is not allowed to have a company phone while an outside sales person is provided with a phone, the self-service portal should not make the ‘request phone’ service visible to the inside sales person. A request process might need to reach beyond the traditional boundaries of an ITSM software solution. 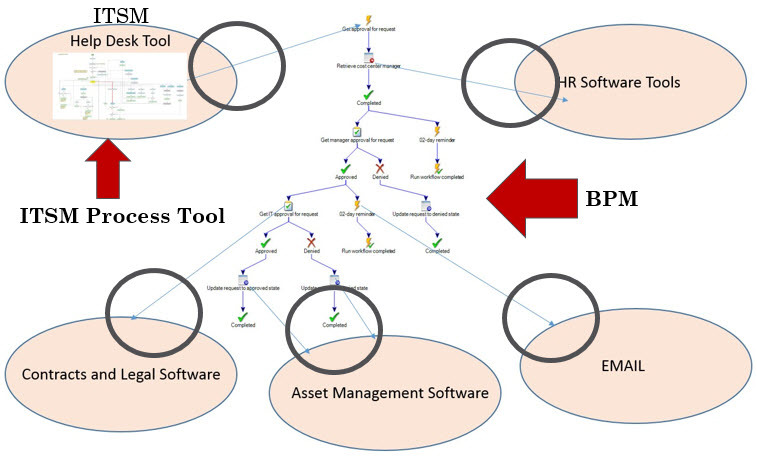 Integration into HR, sales, asset management, and accounting are just the beginning. The goal should be to build your solution with efficient B2B connections. 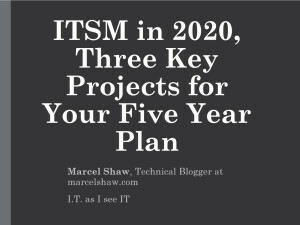 ITSM projects require significant time and money. Projects need to be aligned with current needs as well as future technologies. Providing a self-service portal that can provide help in addition to fulfilling requests will help organizations reduce IT support costs. Furthermore, organizations will have an infrastructure in place that will be able to adapt to technology changes and demands expected in the near future. On November 18th 2015, I gave a webcast for BrightTalk and discussed three key projects for ITSM. You can view the webcast by following this link. Recently, I called a company because the heater in my house would continue to operate regardless of the temperature reading. They insisted on having their service technician come to my house to evaluate the problem and make a diagnosis. For several hours, I was concerned about how much this would cost because they could not tell me until the technician completed his investigation. I have had this same experience when calling IT support; however, I am not as concerned about costs as I am about meeting a deadline. In any event, this is still a cost for IT support. Anytime IT has to investigate issues on the network, or in software for a solution, there are unknown costs associated with that process. The longer it takes to find the issue, the more it costs. Historically, as IT organizations looked at the costs of supporting all their computers, they began looking at tools that could automate manual processes. The reason for automating processes was simple, automation reduces costs. Furthermore, integrating your IT solutions into your ITSM solution makes IT support easier, faster, and much more efficient. For example, many years ago, an analyst would often dispatch a tech to a person’s desk to troubleshoot a problem that could not be diagnosed over the phone. 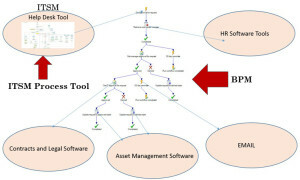 Many organizations found that implementing a tool that controlled the computer remotely from the analyst’s computer reduced the cost of the incident by up to 90 percent. The only way to prepare for emerging technology, in addition to supporting your current ITSM requirements which are often operating with reduced budgets, is to implement automation tools that can integrate with all your network, database, and software solutions. For example, when an account is locked because a customer forgot their password, the analyst might need to call the IT admin. However, if the analyst has the appropriate rights, they could unlock the account by accessing the required network tools. If an automated process is implemented, the analyst could trigger the account to be unlocked by simply pressing a button from the incident page. Ultimately, the best way to handle this example would be through a self-service process; however, I will discuss this in more detail in part 5 of this series. When an incident can be instantly resolved by the technician, the cost of the incident is easily determined. Some examples of instant resolution would be a password reset, a “how-to” question, or a known issue with resolution instructions available in the knowledge base. Any incident that is opened and resolved during a call falls into this category. When an incident can be resolved by the technician pending an action, the cost of the incident is also easy to determine. For example, if it is determined that a customer needs a software update or a replacement phone or laptop. The analyst would determine if the item is under warranty and initiate an automated process to replace the device. 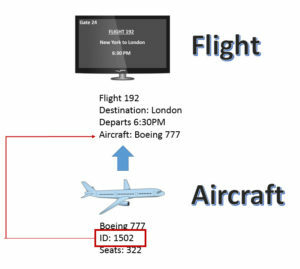 The analyst would mark the incident as ‘resolved’ when the customer receives the replacement device or software update. The incident cost is easily determined, even if there is an outstanding action item that needs to happen prior to closing the support incident. Anytime an incident needs further investigation to determine the cause of an issue it is placed in this category. For example, if the analyst has to dispatch a technician or escalate an incident, the cost of the incident will be unknown until a diagnosis and resolution is determined. In some cases, these types of issues are moved to the Problem Management team. To reduce the costs of IT support, organizations are focusing on incidents that require investigation. This is accomplished using smarter technology. When I called about the problem with my heating system, a technician was dispatched to my house. In the near future, embedded technology such as (IoT) will eliminate the need to have someone investigate an issue. The ideal solution would be to know about an issue before the customer realizes there is an issue. When technology can self-evaluate and determine the cause and resolution without manual intervention, the cost of the incident can immediately be determined. With embedded technology, my heating system could have reported back to a central system with the diagnosis. As a result, a person or an automated system could contact me and notify me of the impending problem and recommended resolution. We can expect this type of technology to rapidly expand over the next several years for IT support. The demand for problem notification from network and software solutions continues to increase as budgets for IT support shrink. It is important that organizations have tools in place to support automation. 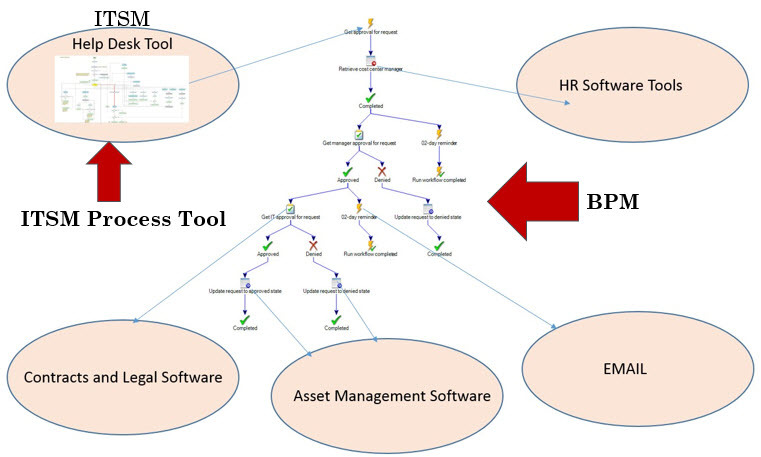 This can be done using a business process manager (BPM). Automation tools can eliminate redundant manual tasks. For an ITSM solution, automated tools can trigger a new incident. Be sure to choose process automation tools that are easily integrated into a wide variety of network solutions, including your ITSM solution. Process automation tools should be able to listen for changes in other databases. Tools should be capable of triggering a process based on a change. Also, automation tools need to have the ability to move data from one system to another. For example, if a person is terminated from an organization, an automated process should be able to cancel all accounts that have been setup through the IT department, such as a mobile telephone account. Be sure that automation tools can execute programs or run scripts. Finally, automated tools should be able to integrate with database standards such as ODBC or web services in order to integrate the different network solutions. Building automation and ITSM Integration into your network architecture will reduce the cost to support redundant manual tasks that could introduce human error. The tools used need to have the ability to integrate with different solutions on the network. With this type of architecture in place, your ITSM solution will be prepared to handle the smart technology that is evolving which can notify the ITSM solution of impending issues, thus reducing the time and costs required to investigate and diagnose a problem. 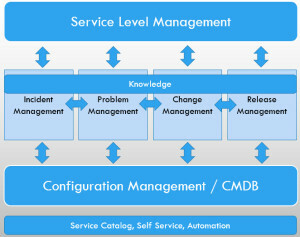 In Part 5, I will discuss Self Service as an ITSM project.